We want to thank our learners for paying attention and respecting us throughout the project. It was a pleasure to teach them. We hope that they continue to practice good sanitation practices and remember our lessons. The education department, deputy principal and principal at the primary school helped us greatly by giving us the opportunity to teach the learners. Also, we are grateful to the students and teachers at the secondary school by providing us with help during the lessons. All of them played a critical role during the project. On our last week in South Africa, we held a “Community Water Day,” on July 3rd, at the PureMadi facility, in Dertig, for members of the community here in this village. The women at the facility helped us collect donations, invite key members of the community--such as the pastor and school principals--and cooked food for this event. We are very grateful for their help and the event was a team effort. Approximately 200 people attended the event, and it celebrated the end of our project. We hope that it reinforced our lessons by emphasizing the importance of clean water in the community. The day started on an exciting note when our learners started to arrive outside the gate around 10am, nearly an hour before the event began! Over a hundred kids came to the event, even though they were on holiday, their break from school. Some of the learners even brought their younger siblings in first and second grade, who we did not teach at the primary school. We were very excited to see them all. Their attendance at the event showed us that we definitely bonded with them in special ways. The kids even helped us set up chairs for the event as they love volunteering to help us whether it be in or out of the classroom. The secondary school students, who helped us teach, also came to enjoy the day with us. 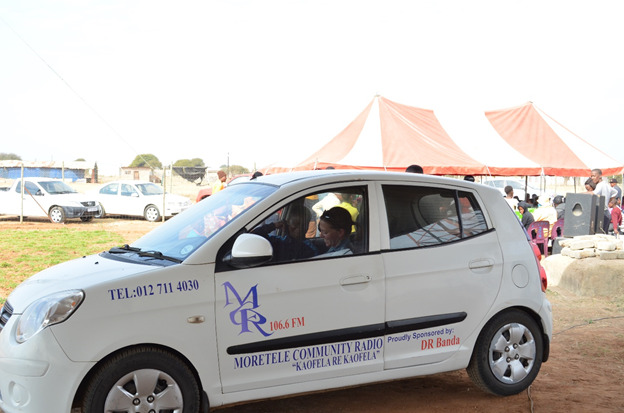 In addition to the learners, three pastors, the deputy principal at the primary school, the principal at the secondary school, three pastors, journalists at the local radio station, and the science teachers at the secondary school attended the event, among other notable guests. Sinah, Nkosi, Margaret, Helena, and more all gave speeches about our teaching project, the PureMadi facility, and the event. While the kids played and danced, the adults took tours around the facility, learned about the filter making process, and had the opportunity to provide their families with clean water to drink by buying a filter. Everyone had a good time and loved celebrating the importance of clean water and learning about PureMadi with us! As a team, we would like to share three anecdotes with you from the project since our last blog post. The day prior to the event, the team was able to further explore Dertig and the larger city of Hammanskraal while gathering donations for Water Day with the facility manager and women. Several of the women at the facility donated cooking supplies, such as pots, chairs, and tables for the event. We want to thank the local businesses, the municipality, and other community members for making this even possible by donating various items. On Water Day, Helena and Margaret got interviewed by Moretele Community Radio to share our project with their listeners. They talked about our time in South Africa, the reasoning behind the project, and the project itself. They were able to further publicize the importance of an education in clean water to the community. We were very excited to be given this opportunity! While Margaret and Helena were being interviewed, Lizzy and Rupa were challenged to a dance off by our learners. The kids are amazing dancers. They showed us some new great moves! Needless to say, Lizzy and Rupa lost almost every time. We enjoyed bonding further with our learners and they made Water Day a fun celebration! To finish out our project, we distributed the materials, the teacher’s guides, and kits for the lessons to the filter facility’s manager. We hope that local members of the community, such as the teachers at the primary and secondary schools, along with the facility’s manager, will continue to teach lessons. We recognize that they will able to touch many more kids than we can in our short time here. As our time in South Africa winds down, we begin to say our goodbyes. Many of our goodbyes occurred at the conclusion of Water Day while others will follow in the week to come. We are preparing for our own departures from SA and know we will miss all our new friends.